If you stop and think why we give either our time or donations to charity you're immediately confronted with differing considerations. Maybe most of us are actually good hearted souls who take pleasure in sharing with others. Perhaps we simply find it easier to carry out a charitable task, or give money which comes easier to us than facing the real problems head on. Or maybe we simply feel a deep sense of guilt when we see others who are considerably less fortunate than ourselves. There will certainly be other reasons. In 2003 Amy Shaw was eleven years old and probably never considered any of the above reasons when she took her part in this event. Amy is the granddaughter of Frank Goodall, who with Dave Owens are the named persons to whom the The Three Peaks Challenge Memorial Fund is dedicated. When she heard of the walk she asked her father to take her to The Three Peaks so that she could participate in the walk in support of a memorial fund in her grandfathers name. Elizabeth Medcalf had noticed a poor (but very much alive) sheep lying with it’s neck stuck through a gate. Elizabeth, who is closely associated to the ‘livestock industry’ tried a rescue attempt to pull the stranded sheep from its enclosure. Sadly the task proved too much for the sheep who on release gasped it’s last breath. The walkers had no alternative but to carry on leaving the poor (and now very much dead) sheep to rest in peace. 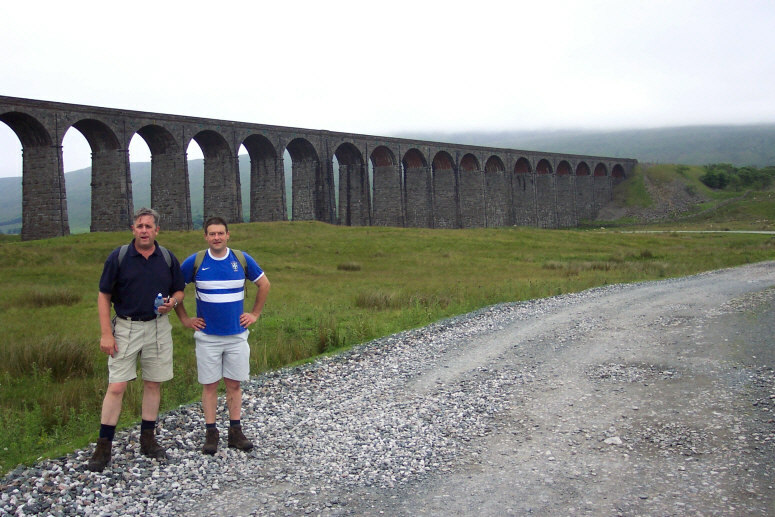 Steve Bainbridge was due to take part in our first walk in 2003. As the buses left the gathering point at 04.00 hrs on the Saturday morning and headed off towards Horton-in-Ribblesdale some of the conversation centred on Steve who hadn’t responded to Jim Dawber hammering on his door at 0345 hrs, thereby missing his lift. Having missed the bus the popular belief amongst the other walkers was that Steve could ‘talk the talk’ but not ‘walk the walk’. 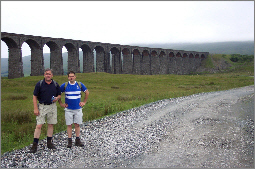 Pete Mackie and Steve Bainbridge at Ribblehead Viaduct. The above photo shows Pete Mackie (left) and Steve (right) on his ‘follow-on’ walk two weeks after the main event. Here they are seen under the shadow of the Ribblehead Viaduct which cost 108 men their lives during it’s construction 125 years ago. Whernside is looming ahead of them. It was only at work on Monday morning that the truth of the story became apparent. Steve had parked his Yorkshire Building Services works van outside his neighbour’s house and Jim had been knocking on the wrong door. Steve, as good as his word went on to complete his own three peaks challenge on a separate day. 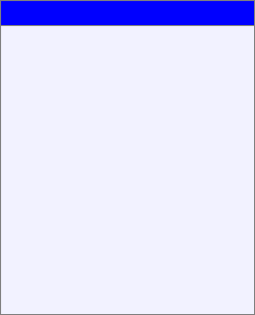 “I have just read your web page with details of your achievement in 2003, well done! As a T-cell Lymphoma and stem-cell transfer survivor (five years on) I applaud your efforts in raising the profile of cancer treatment, thank you”. It puts into perspective what the fund raising is all about I suppose. Anyway, thanks Chris.